Allow your customers to book appointments with you online. Automatically confirm appointments and send reminders by email and sms. 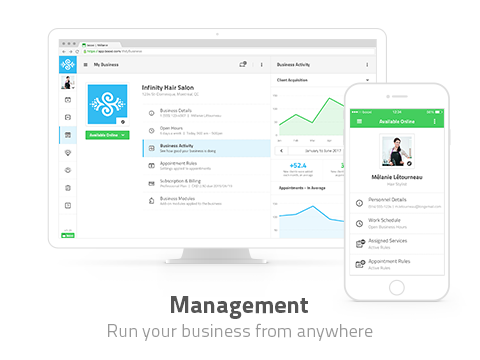 Fully configurable services and appointment rules, keeping you focused on your work. Let booxi do some of the work, so you can focus on what you love the most about your business. Let your clients book online while our virtual assistant takes care of your online presence, sends email confirmations and SMS reminders, builds your client list, analyses your data to give you advice and perform marketing tasks for you, that includes social networks. You simply register online and setup your profile and you’re ready. 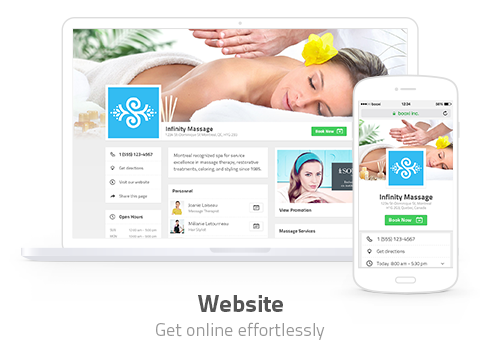 You get a website with your offered services displayed online and ready to receive online appointment booking. booxi will send appointment confirmation and reminders to your clients (including SMS reminders) - saving you lots of time and money. Manage your appointments fast and easy, or let your clients book online at their convenience and save time off the phone. 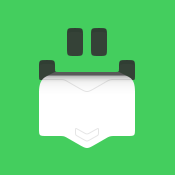 booxi sends email and SMS appointment confirmations and reminders to your clients, and keeps client records for you. 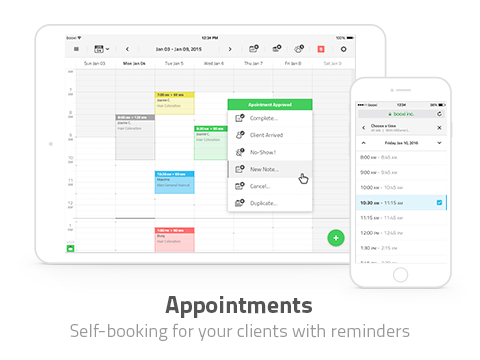 booxi lets you manage your appointments and clients from anywhere. You may use a tablet at work, a desktop at home and your smartphone on the go. You have a secured access to your centralized data from anywhere. booxi creates a website for you, optimizes it for search engines (SEO), keeps it up to date and lists your business in an online directory. Installation guide can be found here. You may call customer support at +1 (514) 419-6496 between 9:00 am to 5:00 PM (EDT). You may also contact us via our online form.